I disliked learning vocabularies back in my school days, especially Latin since there was no application for that language in real life, which meant that the learning concentrated on grammar and learning as many Latin words as possible. Today's children have more options when it comes to building their vocabulary. 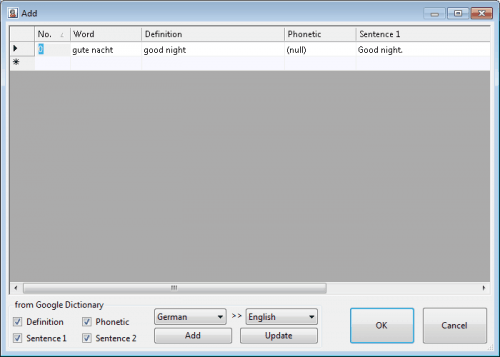 Computer vocabulary apps have improved in the last ten years, from basic dictionary style applications to comfortable customizable programs. 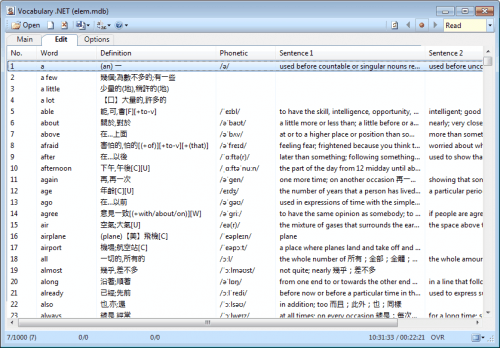 Vocabulary.net is a free vocabulary software for the Windows operating system. The program requires the Microsoft .net Framework 3.5, but has no other dependencies besides that. 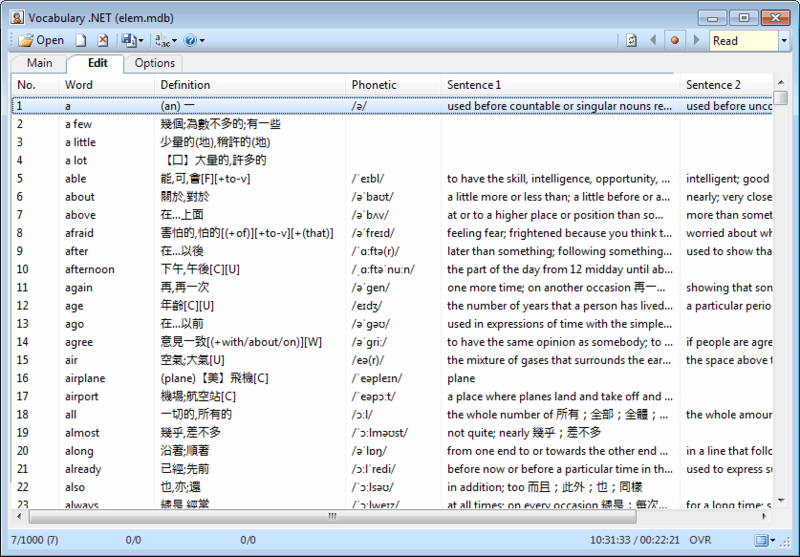 The program includes a demonstration database that teaches English to Chinese users. 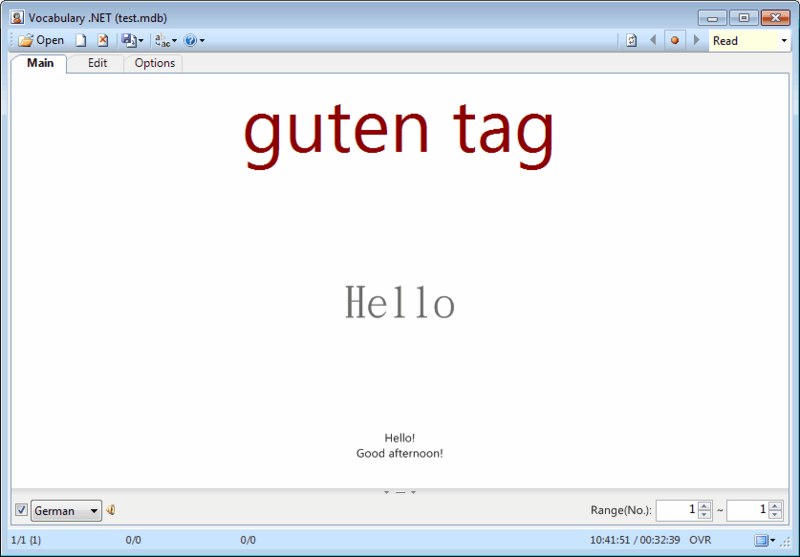 Users who want to learn another language, or prefer definitions in their language need to create their own database of words. The vocabulary builder makes that comfortable by using Google Dictionary information to fill out target language information automatically. All the user needs to do is to add a word, and let the program do the rest. The source and destination languages need to be selected on first use, but are remembered afterwards. It is sometimes necessary to edit the data pulled from Google Dictionary, especially the phonetic field does not seem to be filled out at all. The program supports three different vocabulary learning modes. The first is the least interactive, as it simply reads and displays words or phrases to the user. 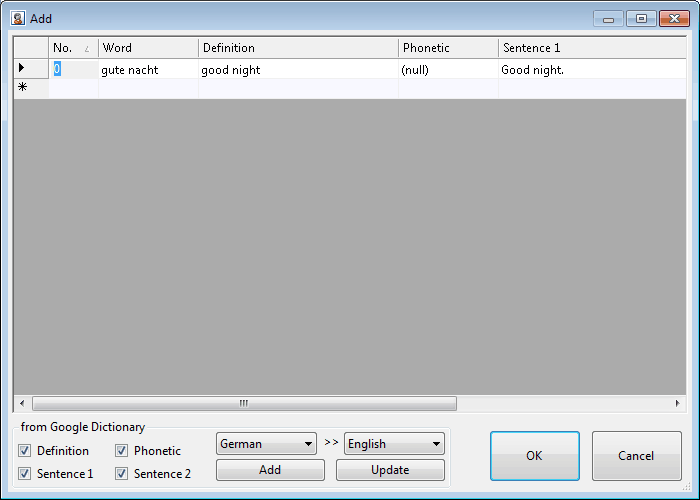 Users need to make sure that the right language is selected in the lower left corner, for the pronunciation to make sense. The pronunciation is pretty good, if the right language is selected. The speed and other settings can be configured in the options. 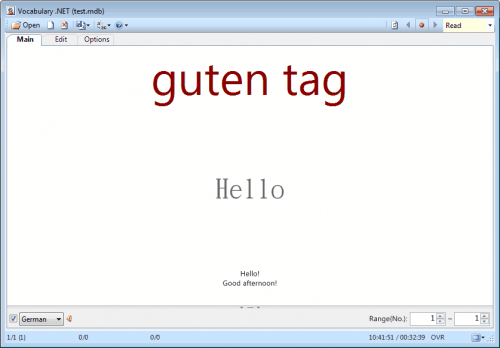 Vocabulary.net is a lightweight program that can assist users in building their vocabulary. The main problem for most is the lack of existing databases, which means that first time users need to create a database of words first, before they can use the program effectively. It is therefor best suited for class projects, where everyone contributes, or as a companion for beginners who add newly learned vocabularies to the program. Vocabulary.net is available for download at the developer's website. The program is compatible with 32-bit and 64-bit editions of the Windows operating system.